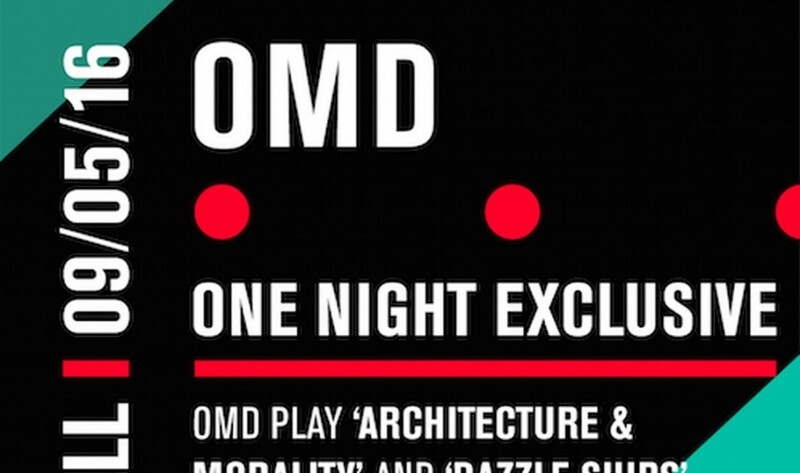 OMD have announced that they will be playing the classic albums “Dazzle Ships” (1983) and “Architecture & Morality” (1981) in full at the Royal Albert Hall in London on May 9th 2016. General sale tickets will be on sale from Friday 4th December at 9am. Also available will be VIP packages (costing up to 250 UK£) including seats in the very front rows, soundcheck access, meet & greet with the band and exclusive merchandise. These VIP packages will be on sale from Wednesday 2nd December at 9am. “Architecture & Morality” is the 3rd album by the British synthpop band Orchestral Manoeuvres in the Dark, released in 1981. It became a commercial and critical success, selling over millions of copies. Its associated singles (“Souvenir”, “Joan of Arc”, and “Maid of Orleans (The Waltz Joan of Arc)”) were international hits, selling more than 8 million copies combined. “Dazzle Ships” is the 4th album by Orchestral Manoeuvres in the Dark (OMD) and was released in 1983. The album is noted for its highly experimental content, particularly musique concrète sound collages, utilising shortwave radio recordings to explore Cold War and Eastern Bloc themes.